Get out and explore this summer with our new outdoor adventure series! 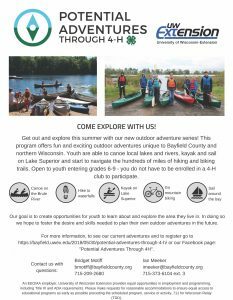 This is a summer program through UW-Extension that is open to area youth entering grades 6—9. 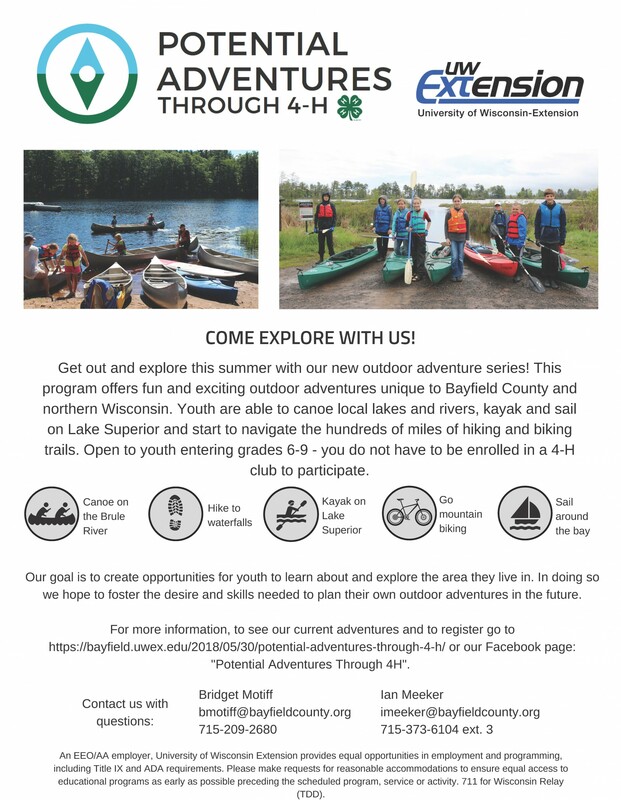 It provides opportunities to explore fun & exciting outdoor adventures unique to Bayfield County & Northern Wisconsin. Activities include kayaking, biking, canoeing and much more.